Am I excited? You bet I am! 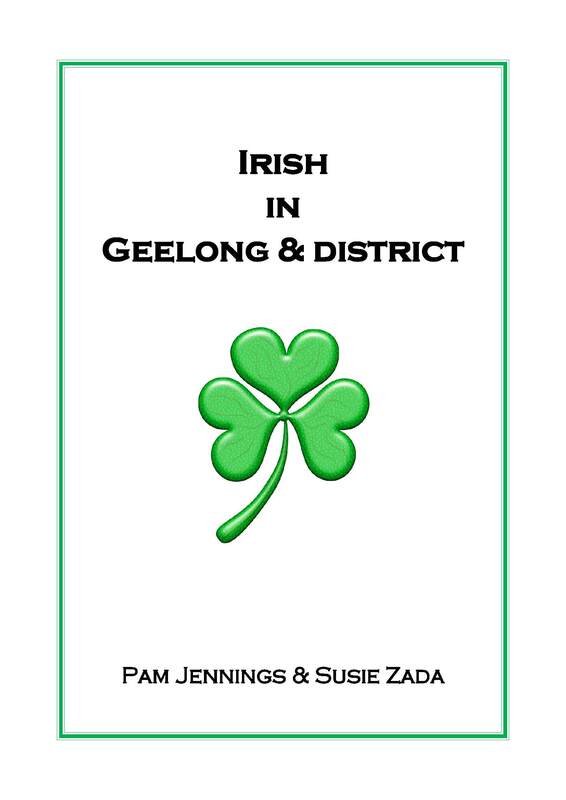 Just over a year ago Pam Jennings & I published Scots in Geelong & district to 1860. The obvious question from people was when are you going to do the Irish one? Of course we replied – “can’t be done”! OK – we’ve proved ourselves wrong. At the Victorian Expo tomorrow we’re launching Irish in Geelong & district. This publication will ONLY be produced on CD and there will NOT be a print-on-demand version. Why? Because there are 1,711 pages! That doesn’t include an index because the book is in Acrobat (.pdf) format and is fully text searchable. Also the A-Z section is in surname order for easy browsing. Mind you, it takes a while to browse 1,700+ pages. At a later stage the full index will be added to the Geelong & district database. It isn’t a list of ALL Irish who came to Geelong & district but a HUGE number of records that may include your ancestors – if not you’ll certainly get an understanding of the wealth of information available in our region. The CD will normally be $30 and details on how to purchase a copy will appear on the Geelong & district web site after the Expo, but for an Expo special it can be purchased at the Victorian Expo on Friday 2nd or Saturday 3rd September for $25.00. Visit us at the Geelong & District Historical Association stand at the Expo – Table 18 – and make sure you visit all the other Geelong & District Historical Societies and Family History groups in our block of tables 13-24. We’ve got heaps and heaps of books for sale from our region. And if you haven’t booked to attend the Expo, don’t worry. Anyone can come and it will only cost you $5.00 to get in. It’s now less that 24 hours to the start of the Expo – and I’m sure my to-do-list includes more items than there are minutes before it all starts! Great news Suzie, they should sell like hotcakes and congratulations on all your efforts. See you at the Expo!